The 2008 presidential election was celebrated around the world as a seminal moment in U.S. political and racial history. White liberals and other progressives framed the election through the prism of change, while previously acknowledged demographic changes were hastily heralded as the dawn of a "post-racial" America. However, by 2011, much of the post-election idealism had dissipated in the wake of an on-going economic and financial crisis, escalating wars in Afghanistan and Libya, and the rise of the right-wing Tea Party movement. By placing Obama in the historical context of U.S. race relations, this volume interrogates the idealized and progressive view of American society advanced by much of the mainstream literature on Obama. 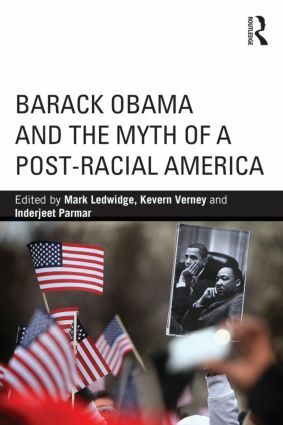 Barack Obama and the Myth of a Post-Racial America takes a careful look at the historical, cultural and political dimensions of race in the United States, using an interdisciplinary analysis that incorporates approaches from history, political science, and sociology. Each chapter addresses controversial issues such as whether Obama can be considered an African-American president, whether his presidency actually delivered the kind of deep-rooted changes that were initially prophesised, and whether Obama has abandoned his core African-American constituency in favour of projecting a race-neutral approach designed to maintain centrist support.